Posted by Brittany Bosher on Thursday, January 28th, 2016 at 11:27am. The article in Forbes claims that the best investment ideas for 2016 are rental properties. Thusly, compiling a list of great places to purchase investment property. 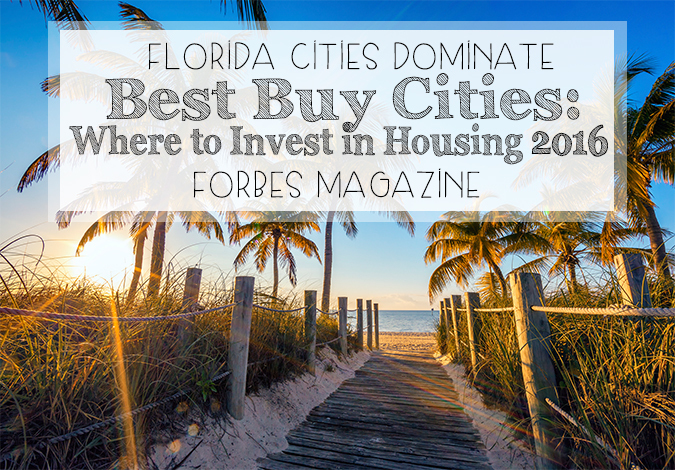 With Florida real estate dominating the list, it just adds another great reason to the list of reasons to want to live in the sunshine state!